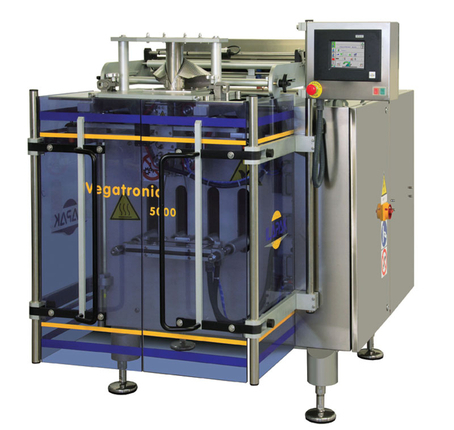 ILAPAK’s Vegatronic Open Frame is today’s most innovative and high-tech VFFS machine. 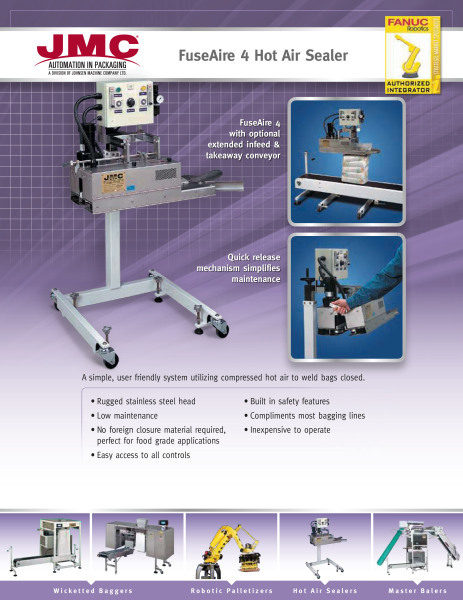 Ilapaks VFFS machines can be configured to meet your current and future needs. Click image for more info. Double-Headed Wicket Bagger model TP 3600 is a state-of -the-art unit using Siemens electronics. The model TP 2029 Net Clipping machine has a simple operation for package weights from 250 g to 5 kg. 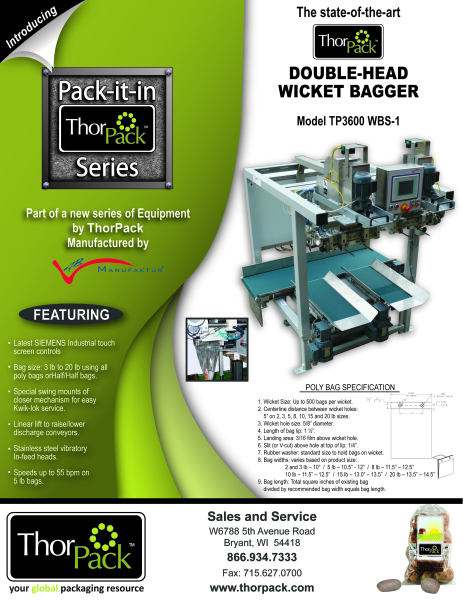 Part of ThorPack' Pack-it-in Series of equipment. 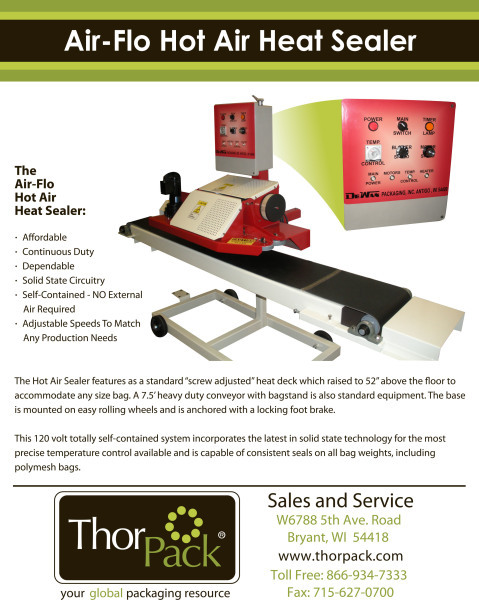 One of the finest hot air sealer on the market. Reliable and affortable. 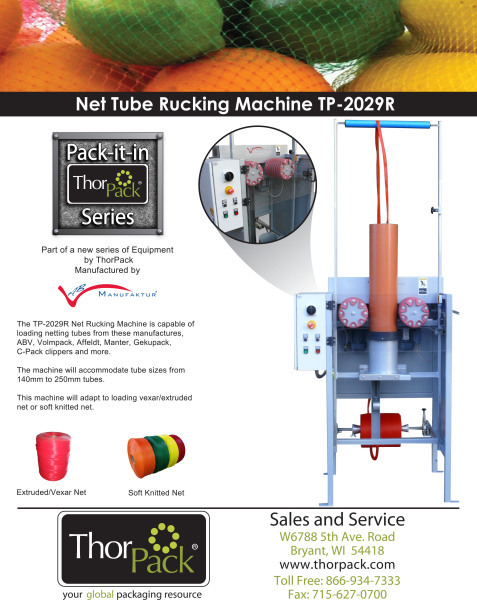 ThorPack offers it's Pack-it In Net Rucking machine. A solid well build unit by Ilapak. 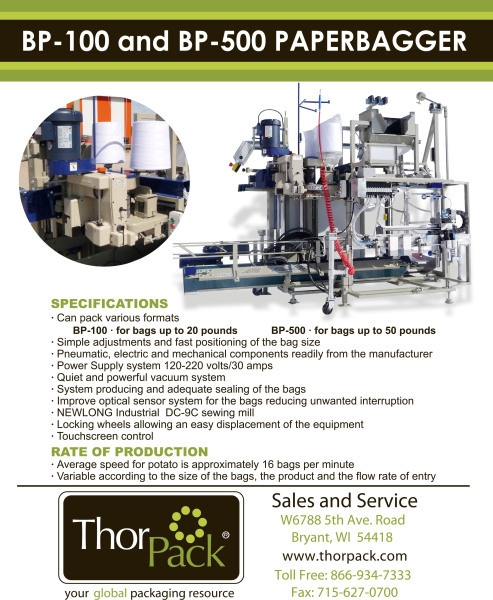 ThorPack is proud to add JMC to our line of fine equipment. JMC equipment has been serving the industry for 70 years. Rugged Stainless head. Low Maintenance. Easy access to all controls. Inexpensive to operate. 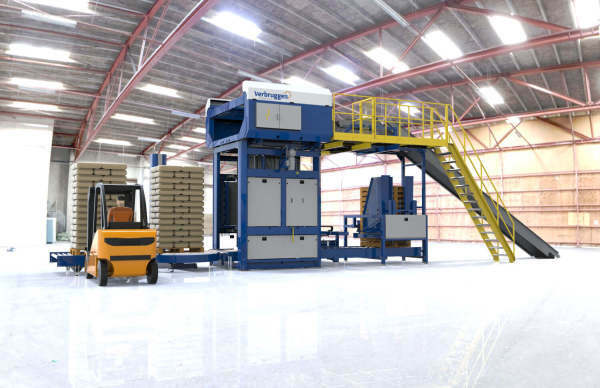 JMC and Fanuc offer a robust Robot Palletizing System. Click on image and check out the YouTube video. 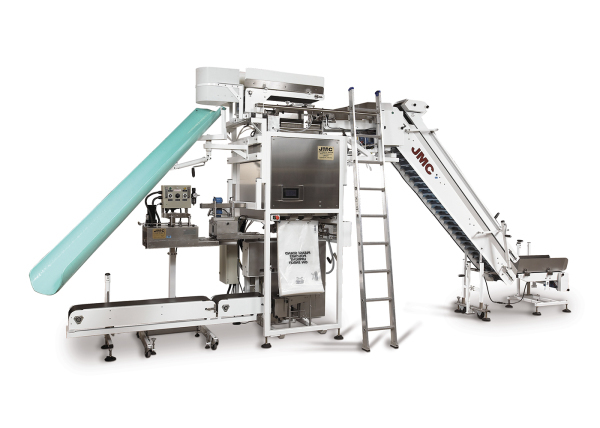 The JMC PB-50 Produce Bulk Bagger is a next generation automated stainless steel bagging system.